Huh, then I guess you got real lucky, did you buy just the mask or the whole set recently? 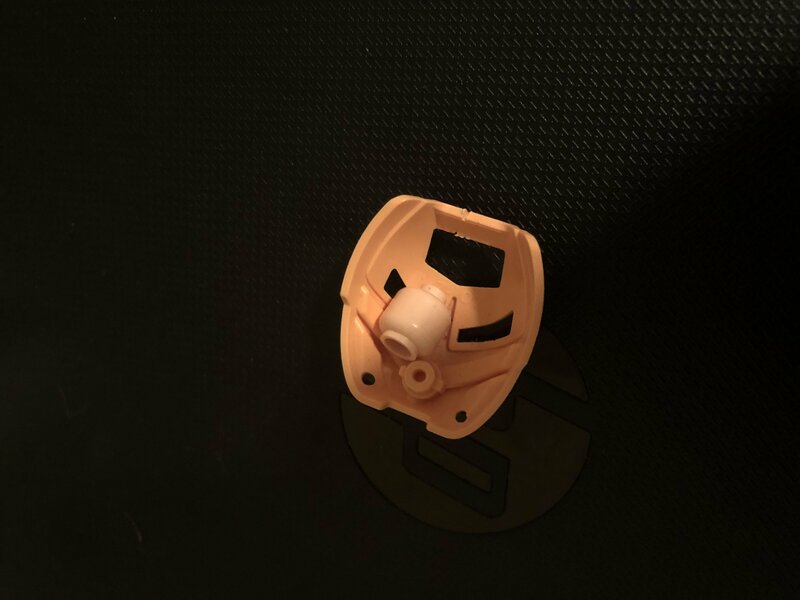 Y'know, I found that mask in a bulk LEGO bin at Bricks and Minifigs. As far as other rare masks go, I have several of the 2001 Noble and Great masks in the non-set colors, including a trans-blue Ruru and a Teal Miru. Pretty nice how it works out. I'm trying to raise money to buy a prototype Tohunga, so pretty much everything is currently for sale. I'll definitely consider it after the Holiday season. Looks like a bleached orange one to me. Maybe was left in the sun for too long? Trans-black Kaukau. Haven't seen many of them around but I don't know. The gold Ignika. Which I lucked out on and got in a bag of assorted parts. Whoa! How did you get that Lime Huna!?! Is it a misprint? I’ve never seen that before! Gold Pakari, Gold Kualsi, Krakaan, Green Faxon, Spinax head, Dume’s Mask, Maxilos mask, Dark Blue Ruru, and a Red Miru. In 2001 they sold mask packs, which contained a random mask. 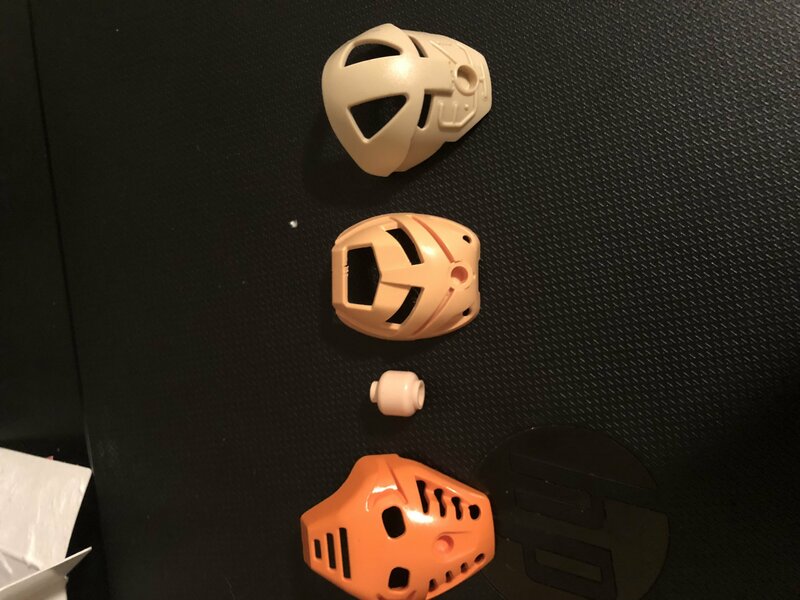 This mask could be any of the Toa Mata or Turaga's masks, each available in six different colors. That meant that each of the Toa Mata's masks could be red, white, blue, brown, black, or green, and that the Turuaga's masks could be orange, light grey, light blue, tan, dark grey, or lime. It's quite useful for MOCing, and really a shame that the trend didn't continue. Sorry for the late response here—I definitely forgot Matau had the lime green masks! Whoops! When I first saw the Huna I thought it was Yellow—that would be an amazing misprinted color! Probably either my olmak, my dark gold kualsi, or my dark gold avohkii. This is not a mask but I didn't feel that an entirely new topic was necessary for this. I've recently gotten a golden lego games Dice. a promotional set only given out in german toysRus stores in 2010. probably the rarest lego thing i own. i got the release with a 1 dot tile incase anyone cares which one i got. Well lets see now, I have two masks of scavenging, a Krahkaan, a Gold Kualsi, Norik's silver mask, a bunch of kraata, four copper masks, a corrupted Hai, and a few Olmaks. Flat gold Vahi and Pearl Gold Kraahkan.